Virgin Media is delivering another update to its ultra-fast broadband internet service and now it will offer users speeds of 200Mbps. 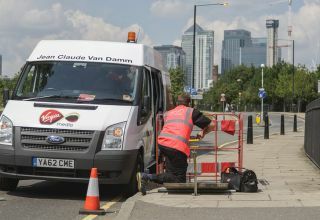 The speed bump was unveiled as Virgin Media's new top level services that has now been rebranded as Vivid 150Mbps or 200Mbps. The company also boasted that its lowest level offering is almost as fast as BT Infinity's fastest speed. From October 1, Virgin Media will begin contacting its 4.6 million broadband customers to inform them of the service upgrades that will automatically boost the older Internet speeds of 50Mbps, 100Mbps and 152Mbps to 70Mbps, 150Mbps and 200Mbps, respectively. The company's DOCSIS 3 technology will allow it to roll out the new speeds to some 90% of its customers by the end of the year and it is the third time in five years it has brought upgrades to its ultra-fast broadband customers. By offering the 70Mbps speed to its entry level customers, it is able to champion the fact that its lowest package comes close to BT's top package. BT Infinity can only offer a top speed of 76Mbps and the same is the case when it comes Sky Fibre where the same top speed is also present. 300Mbps for BT by 2020? BT is comparatively sluggish when it comes to debuting its ultrafast broadband, known as G.fast. The technology is currently being trialed in Cambridgeshire and uses copper wires into the home instead of fiber optic cables and is therefore cheaper. The telecoms operator expects this to be available to 10 million premises by 2020 and speed wise it is expecting to be able to serve up downloads at 300Mbps. At its current rate of growth, Virgin Media is likely to have at least reached that speed by 2020, if not surpassing it, and the competition will only get fiercer as time goes on.